Giuseppe Verdi’s Nabucco, an opera in four acts composed in 1841 to Temistocle Solera’s Italian libretto, is considered to be the work which permanently established Verdi's reputation as a composer. In his own words, it is the opera “with which my artistic career really begins and, though I had many difficulties to fight against, it is certain that Nabucco was born under a lucky star”. It is in itself a celebration of choral music, the best-known highlight being the “Chorus of the Hebrew Slaves”, better known as the Va Pensiero, a chorus which is regularly given an encore in opera houses around the globe when performed today. 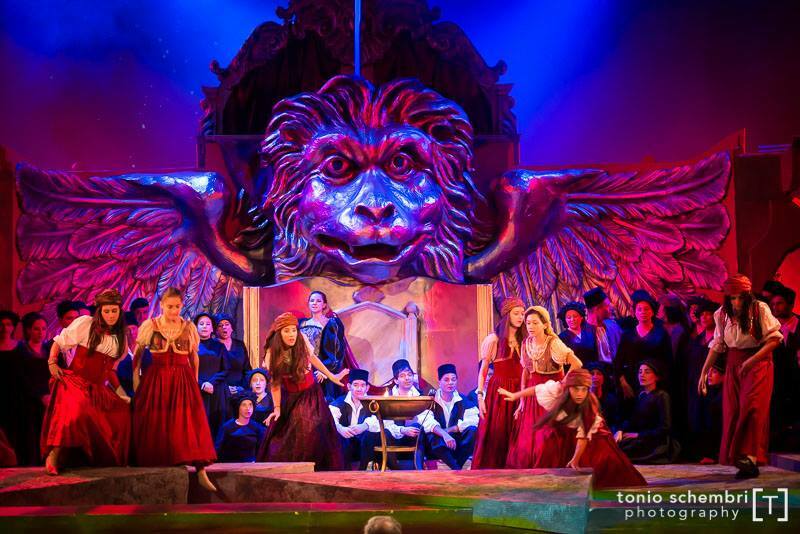 Opera at the Astra enjoys a well-established tradition of excellence, with the engagement of an internationally renowned cast, a fantastic opera chorus, imposing sets and scenery, outstanding costumes and a spectacular of lights. There is a strong educational aspect to the artistic form, be it painting, music, architecture, poetry or technology. Opera brings many forms of art together; there is plenty to see, hear, follow, appreciate and admire on the stage, in the lighting, costumes, design, technology used and, above all, in the music. Opera has it all when it comes to integrating distinct yet complementary artistic styles. The Teatru Astra is offering a limited number of seats for students of any age who would like to witness the first performance of Verdi’s Nabucco at the Astra on Thursday 23 October, at 7.30pm. These seats can be bought at the considerably reduced price of €15; booking is on a first-come-first-served basis. This offer is ideal for students of music, language, design, technology, architecture, engineering, and theatre studies. Teatru Astra is suported by a Cultural Partnership Agreement with the Government of Malta, Bank of Valletta, Citadel Insurance, General Softdrinks and the Victoria Local Council.